I have been hunting with Wade Lemon Hunting for 5 seasons. We have harvested some really nice trophies. They have access to great areas and can assist in obtaining special, limited or restricted tags. 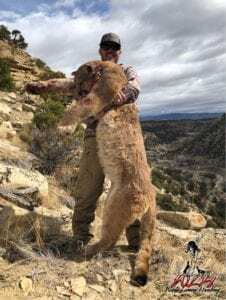 The team of guides they have are really excellent, they are very knowledgeable and passionate about trophy quality and hunt hard to give you the best hunting experience possible. I have several hunts scheduled with them this season and I’m really looking forward to each one. They work hard, they work smart, they work for you! I don’t have the luxury of having the opportunity to spend a lot of time in the field before the hunting season begins. Time away from work has to be focused and planned and I need to make the most of it. I rely almost 100% on WLH to spend time scouting, preparing and getting ready to hunt hard on my hunts. Not once have I ever felt like they didn’t give it 110% . I have been fortunate to harvest some world class animals with WLH, in order for that to happen, they have to do their part and I have to do mine. Sometimes it happens 1 hour into the hunt and other times it’s 8 days in, and other times it’s two weeks of hunting. That’s just the way they run their operation, it doesn’t matter if it’s Wade, Kalan, Gunner or any of the guides, the one thing you can count on is to hunt hard and have a memorable experience in the hills! Thanks to everyone at WLH that has dedicated and spent so much time and effort on my behalf, you are truly friends and your time and sacrifices have not gone unnoticed. 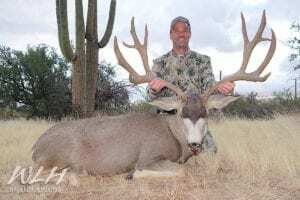 I have been fortunate to be able to hunt with Wade Lemon Hunting multiple times and have enjoyed great success with there team of professional guides. 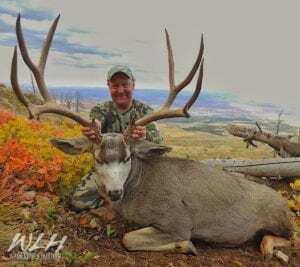 If you want to hunt with people that are passionate about their work and put year-round dedication into finding the biggest trophy animals for that special tag, WLH is the outfitter you are looking for. I was searching for a high quality mountain lion hunt. Wade Lemon had been recommended to me by a trusted associate in Texas. I researched some other outfitters but ultimately chose Wade. It turned out to be a great decision. Wade’s guides’ busted their backs for me and were top notch in every aspect. By the end of the hunt I was rewarded with a world class trophy. The experience was everything I was hoping for. 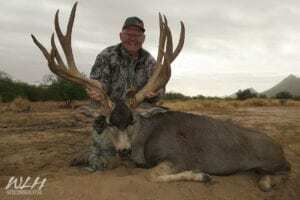 I’m already working on booking my next hunt with Wade and his team. I wanted to take the time to let you know how much I enjoy hunting with you and your team. Everything is done by the book and I can truly say that you, in my case, have under promised and over produced. Over the years I have hunted in many places, but I have never enjoyed hunting with anyone more than I have while with you. You and your team are very professional, courteous, hard working with great equipment, and the list can go on. There just aren’t enough words to describe the wonderful experience I have every single time I hunt with you. The two employees I sent from Salem cat hunting had as much fun as I did on my hunts. Feel free to have anyone call me and I will be glad to share my experiences with them. You run a stellar hunting operation and I will be glad to tell anyone about it.